Radio-echo sounding is commonly used to measure the thickness of glaciers and ice sheets. In this technique, range is resolved by transmitting an electromagnetic pulse and recording the time it takes for the reflected signal to bounce off the ice-bed interface and return to the surface. With a known propagation speed in ice, the two-way travel time directly informs the ice thickness. 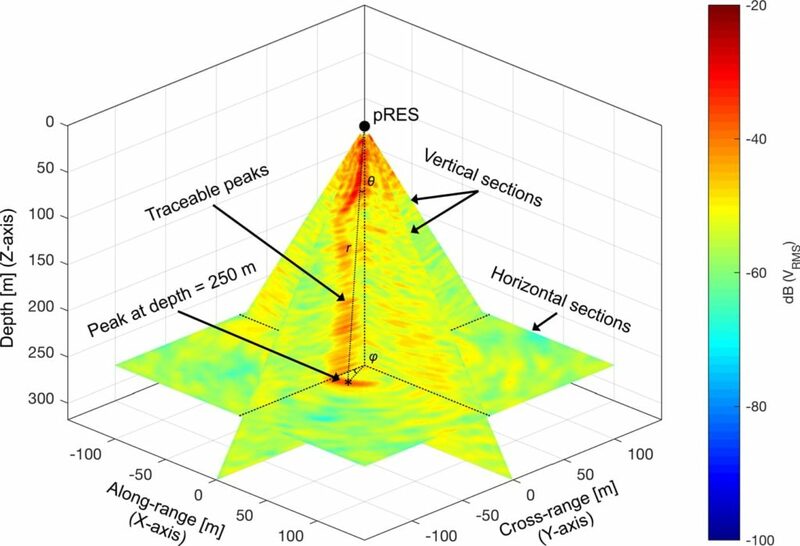 In RESPONDER we use interferometric radio-echo sounding – a new technique which offers superior range detection by measuring the phase of the radio waves as well as the two-way travel time. The autonomous phase-sensitive radio-echo-sounder (ApRES) transmits a frequency-modulated continuous wave, which increases linearly from 200 MHz to 400 MHz over one second. At the same time, the system records the return signals from waves bouncing off layers in the ice and, ultimately, the base of the glacier. With an ability to measure range with a precision of just 3 mm over 1.8 km, ApRES can be used to gather unique records of the way ice deforms in Greenland’s fast-flowing glaciers. In RESPONDER, we are deploying these systems in two different configurations. With a configuration called SISO (single input / single output) a single transmitting antenna is combined with a single receiving antenna, in order to obtain 1D records. In this case, the system’s high precision allows us to trace and track the displacements of internal reflectors in the ice. With signals transmitted and received every hour, we can detect ice deformation with a very high temporal resolution. We are also able to detect how fast ice melts at the base of the glacier, a process that has never previously been recorded directly on the Greenland Ice Sheet. The second mode of deploying ApRES is called MIMO (multiple input / multiple output). In this case, we use 16 antennas, half of which transmit electromagnetic pulses while the other half record the returned signals. 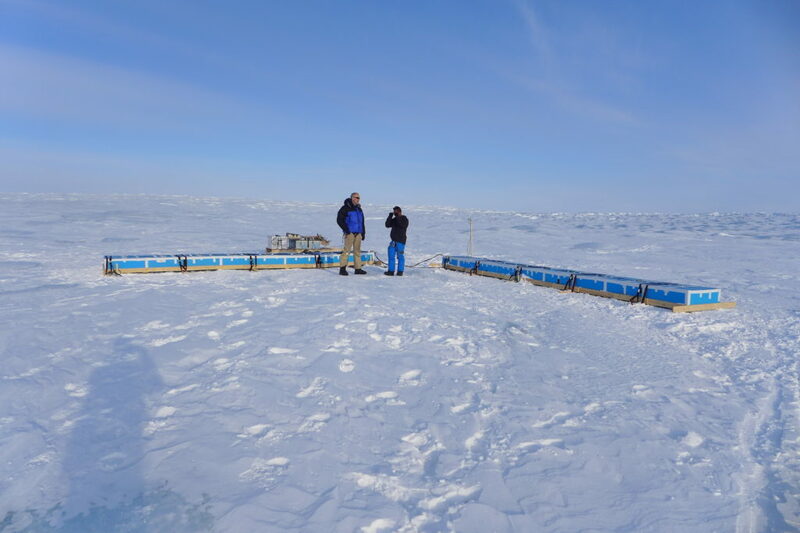 The MIMO array turns the ApRES into an imaging radar, which allow us to obtain information about the 3D geometry of reflectors in the ice, and of the bed itself. The RESPONDER team is very pleased to be working with Dr Dustin Schroeder and the Radioglaciology group at Stanford University.